And just like that, 2018 is in the books. I seem to say this every year, but I can't believe just how fast (and at times how slow) this year has gone. As years go, this one was marked by change, as I started a new job and completed a full year as a resident of Washington, DC. I didn't think it was possible to fall deeper in love with this town, but nevertheless I end the year far more enamored with it than I began. Between the restaurants I've discovered and the new recipes I have put to test in my (new) kitchen, 2018 has been a year of experimentation and widening my horizons. Speaking of horizons, opportunities to travel have brought me to the Midwest, South, and NYC, which have allowed me to explore beyond my beloved neck of the woods. As I look back on the year that was, I wanted to share my top five restaurant discoveries from 2018 to celebrate great food and great teams that care about serving gluten and dairy-free diners safely. Year after year it is precisely experiences like the ones I share in this post that making blogging a true joy, and keep me engaged and excited to share them with you. 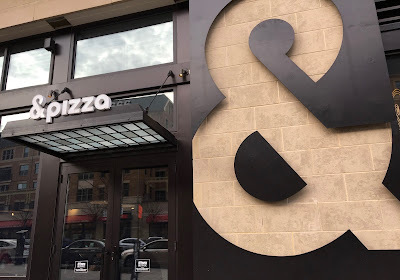 Although I am celebrating my one year anniversary of becoming an official Washingtonian, I'm ashamed to admit I haven't been as adventurous lately with exploring my city's food scene. Wanting to break out of my usual routine and comfort zone, I was excited when my mom came to visit recently, because it provided an opportunity to get out and explore. For a year now, I've heard absolutely glowing reviews for Ambar, a Balkan restaurant in the cozy Capitol Hill neighborhood. Because exploring the nearby Eastern Market flea market on the weekends is one of my favorite DC pastimes, I knew Ambar would be a perfect choice so that my mom and I could visit both without moving our car (a critical consideration in that area as parking is at a premium). 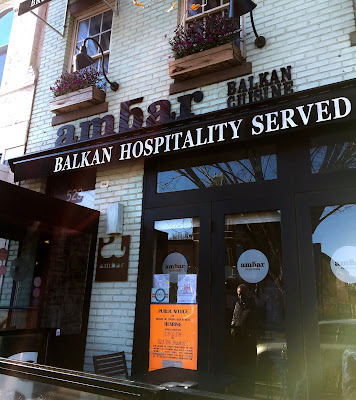 As my first time visiting Ambar and my first time enjoying Balkan food, I was excited to see what this experience would have in store. In reading (and bookmarking!) 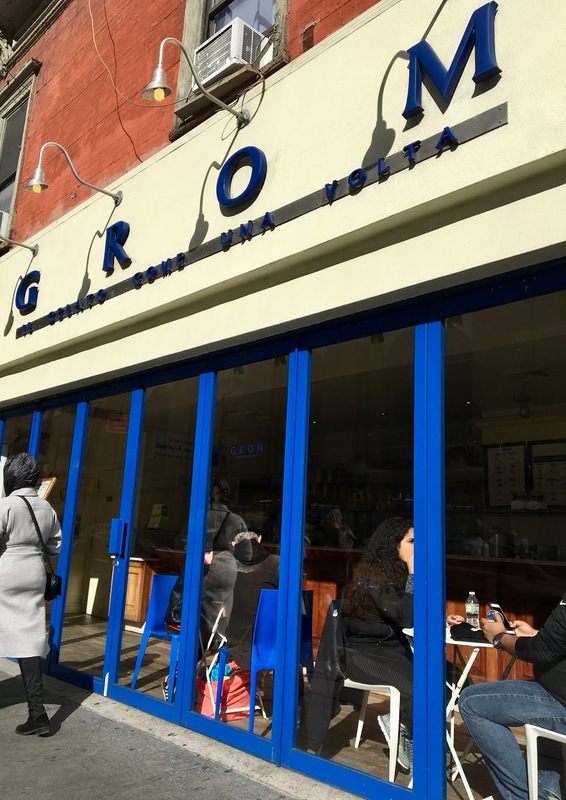 my friend Alexis's recap of her recent gluten-free odyssey through Rome (on her blog Alexis's Gluten Free Adventures), one eatery she mentioned popped out to me: a gelateria called Grom. 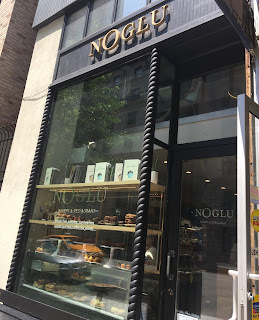 I knew that name rung a bell for me, and I quickly put two and two together that I had walked right by one of Grom's New York City shops this past summer. I had no idea that the gelateria was 100% gluten-free, and knew that I had to pay them a proper visit when I was next in the area of one of their stores. That's why when I found myself with 20 minutes of down time before catching an off-Broadway performance in the West Village, I knew I wanted to head over to Grom to investigate further. 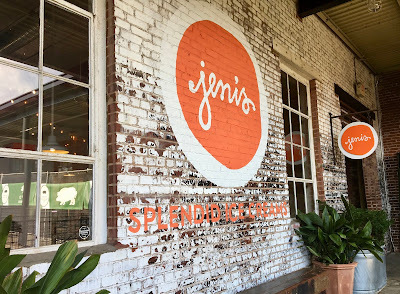 Lured by the promise of my first visit to a 100% gluten-free ice cream shop, I was thrilled that I would have an opportunity to have the "normal" experience of visiting an gelateria without fear. As a work trip brought me to New York City for a week, I had a chance to settle in and explore around the Chelsea neighborhood that was my temporary home. 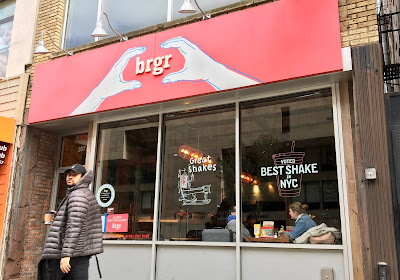 With the first feeling of fall in the air, the chilly weather sparked a craving for fast food, and luckily enough, brgr was a couple blocks from where I was staying. 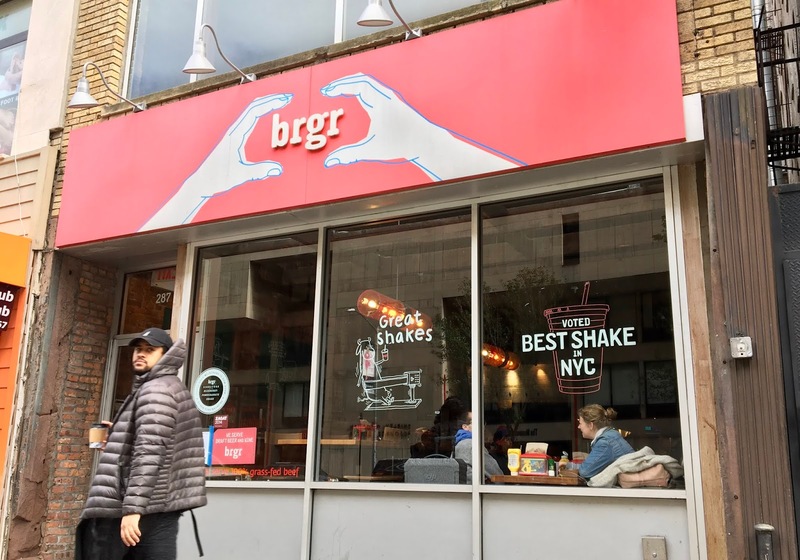 While brgr might seem like a dime-a-dozen fast food restaurant from the outside, looks can be deceiving, because they hold themselves to a higher standard, crafting each burger, shake, and fry with quality ingredients to ensure they both taste great and are better for you. 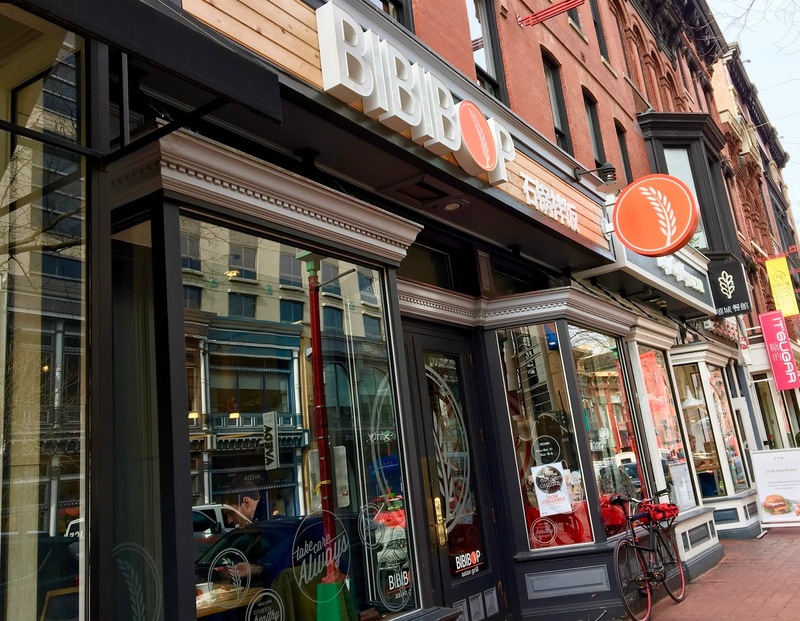 Of course any place with a dedicated gluten-free fryer is worth stopping my book, so I was eager to see what kind of experience brgr would serve up. 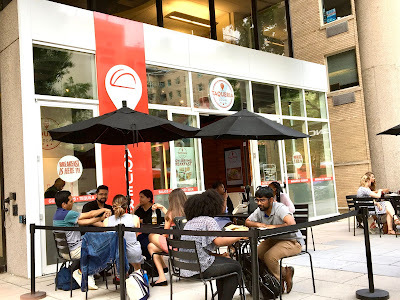 Although I love Washington DC's food scene, it cannot rival New York City's abundance of 100% gluten-free restaurants and cafes. 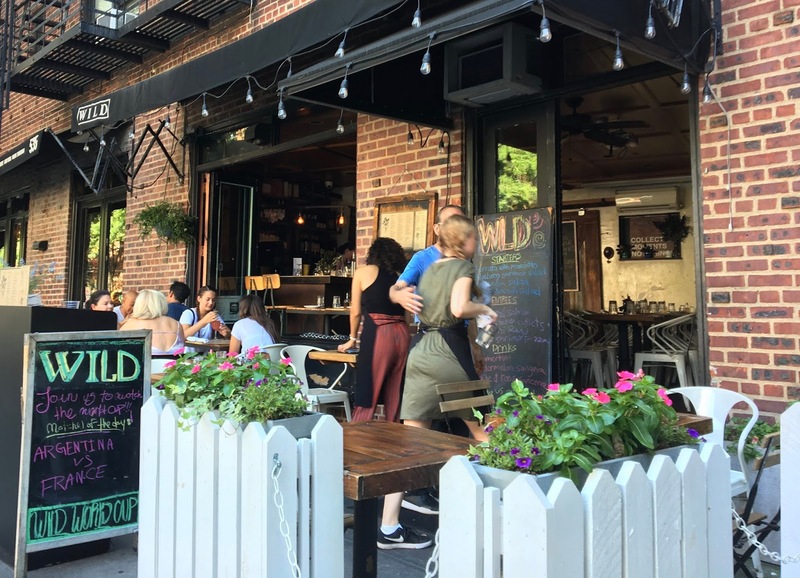 After spending an especially blustery fall morning exploring around Central Park, I walked a few blocks over to TAP NYC, one of such magical eatery where everything is gluten-free. The restaurant serves up crepes, salads, acai bowls, and coffee drinks in cute cafe setting so it was a perfect pick for a late breakfast stop. 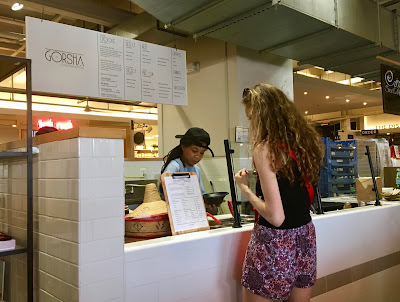 Crepes are one of those foods that are so hard to find both gluten and dairy-free, so I was excited to have an opportunity to choose from sweet and savory options. TAP NYC's menu is built on the endlessly versatile tapioca starch (from cassava), which is native to Brazil. 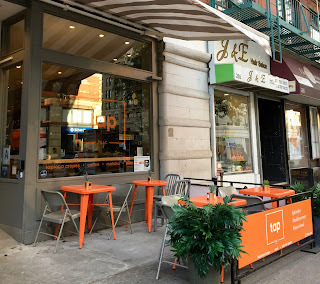 Of course I am familiar with tapioca in as far as seeing it in the ingredient lists for food I have purchased, but I was interested to see it placed center stage, as it is on TAP NYC's menu. Knowing that a work trip would bring me to New York City for several days, I decided to make the most of the opportunity and built in time for exploring the city a day before my official duties started. 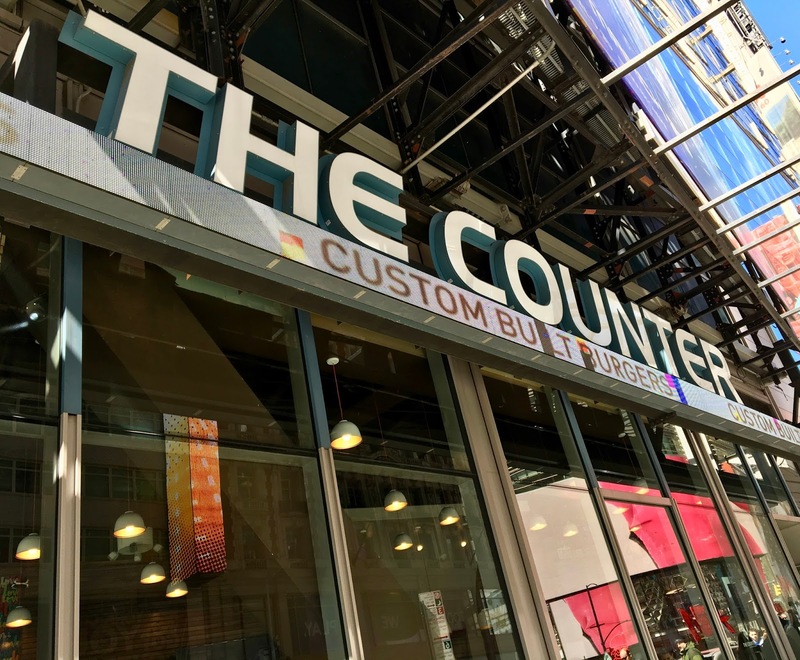 Of course if I can make it happen, seeing a Broadway or off-Broadway show is a must do for any New York City visit, and this trip was no different. 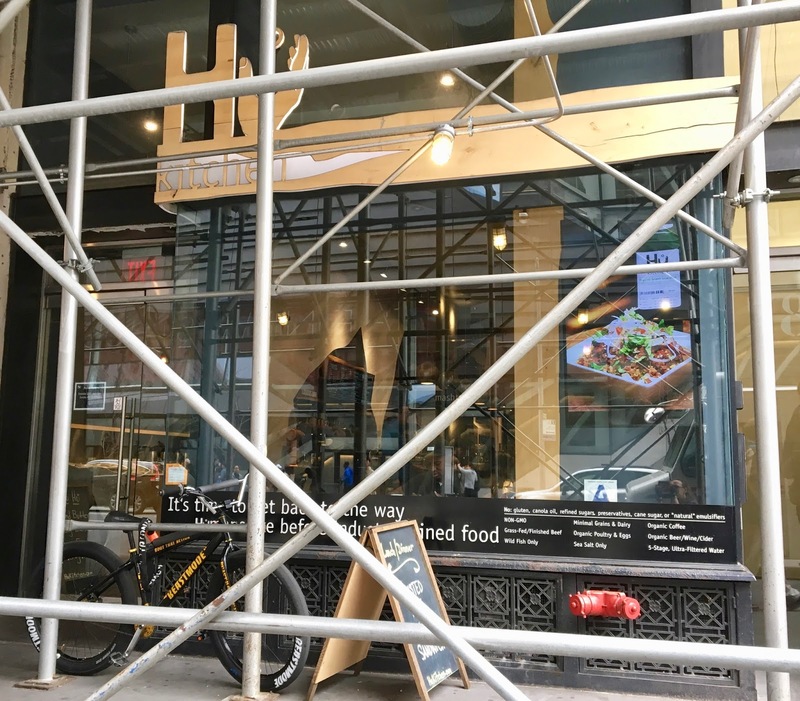 With tickets to see the limited run play American Son in hand, I went to work researching potential restaurant options in the Times Square and Theater District area. 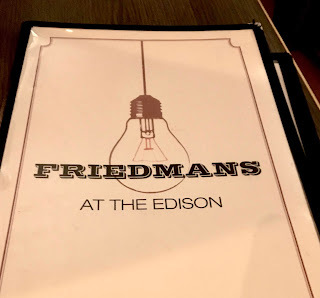 I quickly zeroed in on Friedmans at the historic Hotel Edison. 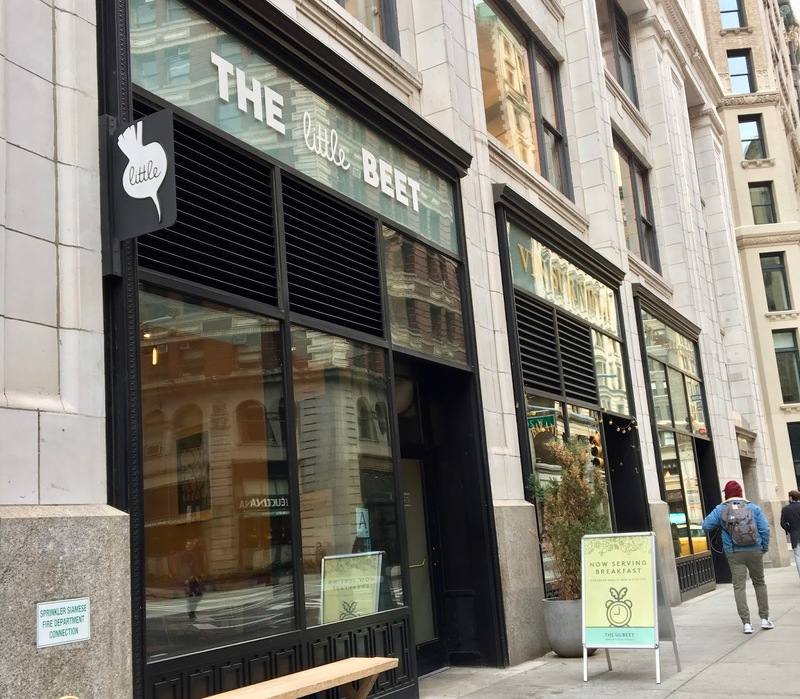 Having stopped by their Chelsea Market location for lunch awhile back, I knew their gluten-free options are unsurpassed, so I needed no further persuasion to make my decision. 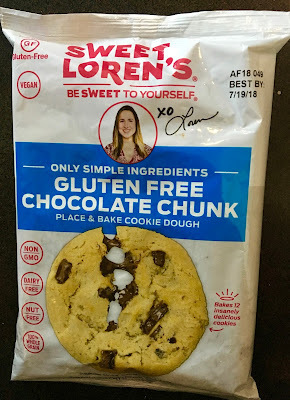 Eating gluten-free has definitely gotten easier over the years, especially as I live in Washington DC with lots of fast casual and full service restaurant options for gluten-free dining. 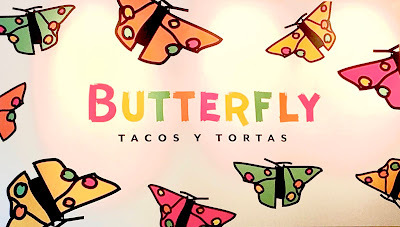 If there's one category of restaurant I miss though, it's fast food. 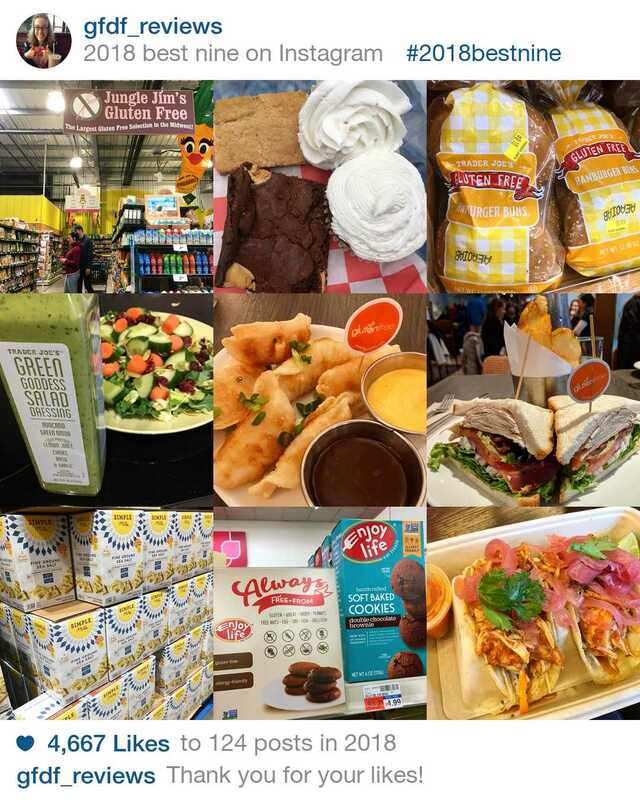 Yeah, it has a bad rap for not being healthy in the least (and very gluten-heavy), but sometimes you just want a quick fix and to get in and out with your food in a dash- especially when your lunch break is short! When I heard that the UK-based chain Leon was crossing the pond to make their American debut in DC, I was excited to welcome them to the Farragut North neighborhood. 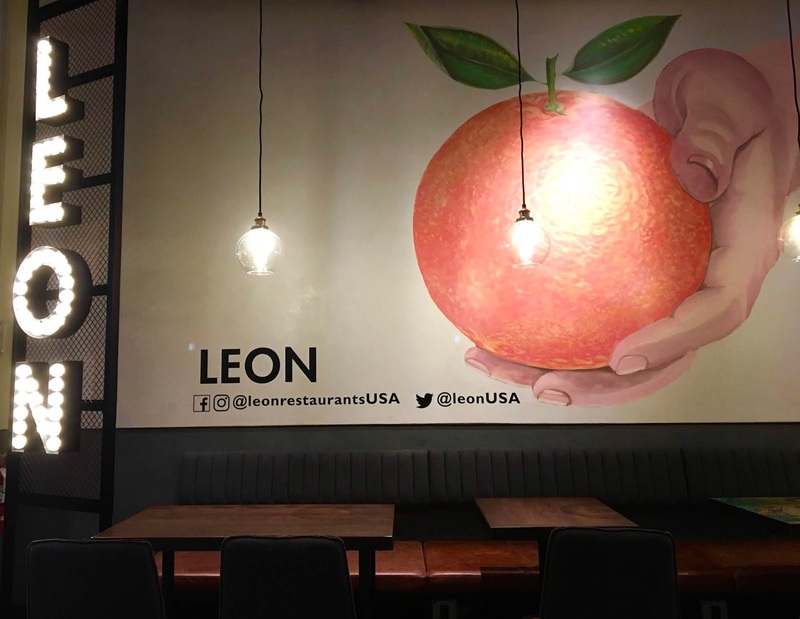 Known for serving up fast and healthy fare in over 50 locations in London, Leon promises to fill a much-needed gap in the DC food scene and serve up "gut-friendly" fare at an affordable cost. My recent travels by rail to New York City have led me to discover the The Pennsy, a food hall just above Penn Station that has quickly become a go-to as I am arriving to the city and my final stop before I leave. 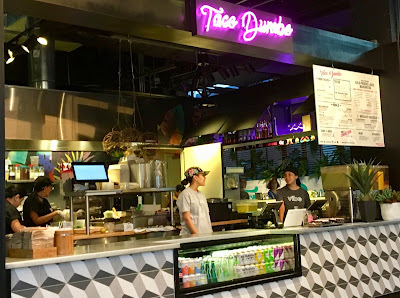 On a recent visit, Taco Dumbo caught my eye, with a menu full of gluten-free options. With my curiosity peaked, I made sure the this stand would be my first stop on my next visit. If you have followed my blog for any length of time, you might have caught on that tacos hold a particular place in my heart- I can never get enough of them! Taco Dumbo's approach is inspired by the foodie ethos of California, the ingredients are real and locally sourced and the vibe is laid back- a refreshing break from the relentless pace of the city. 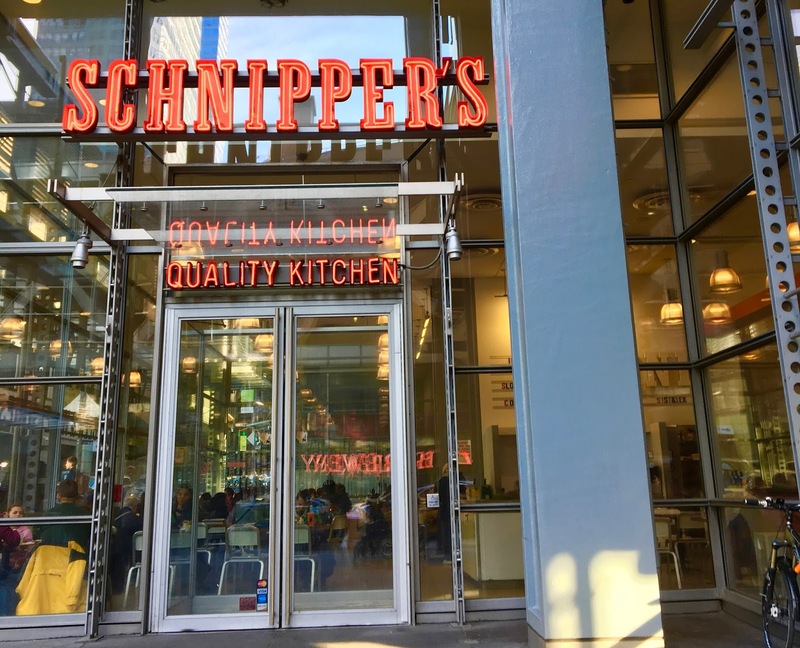 New York City is a magical wonderland for foodies- especially those with dietary restrictions. 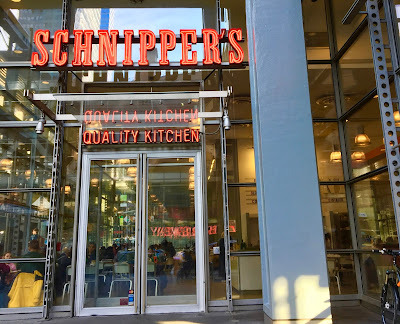 With a rich abundance of accommodating restaurants, bakeries, and cafes, I don't think I will ever run out of new options to try whenever I visit. On my visit to the city last weekend, I found myself wandering through the Greenwich Village neighborhood with a little time to spare before catching a performance at the Minetta Lane Theatre. 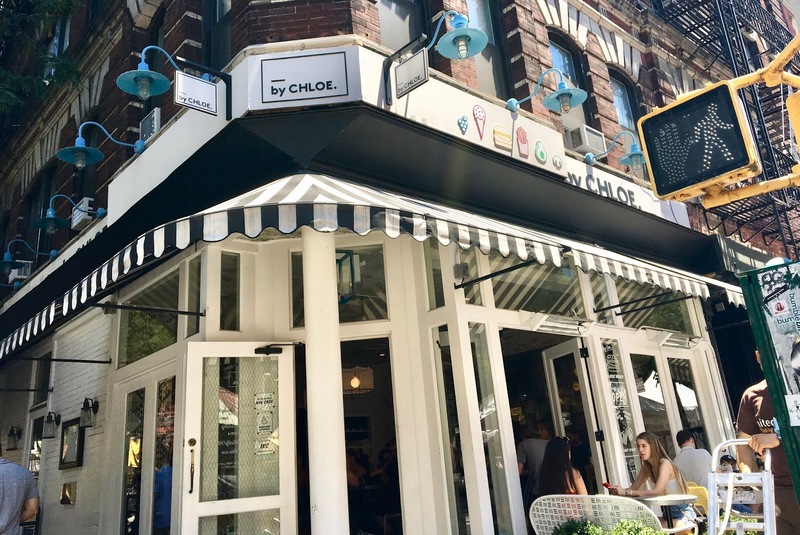 I stumbled across By CHLOE, a 100% vegan cafe serving up a full menu of sweet and savory options. 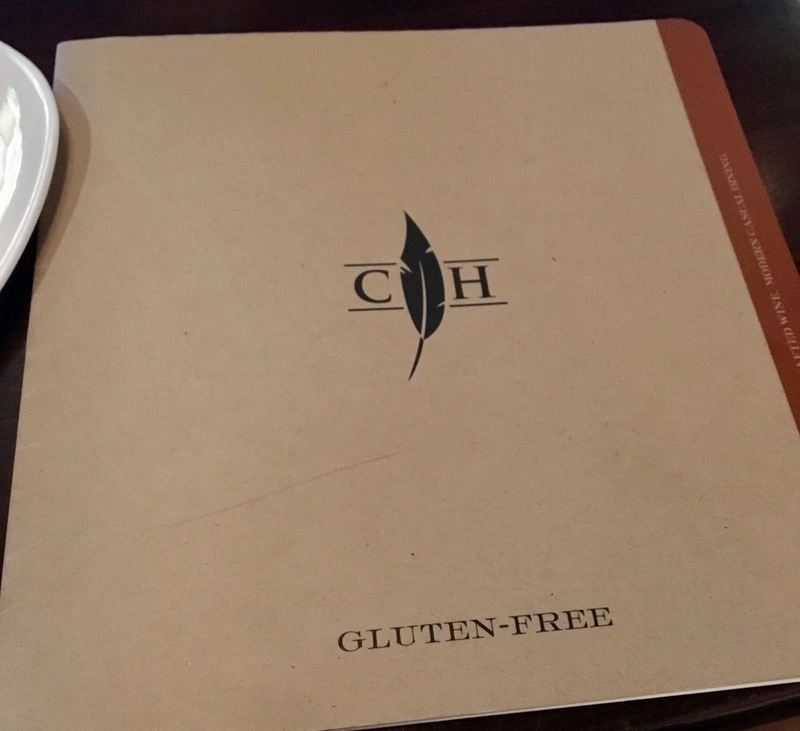 Just as the city's heatwave was beginning to get to me- I knew this would be a good stop to investigate their gluten-free options. Anyone who has followed this blog from its earliest days knows that I am a super fan of the Orlando-based food truck Tamale Co. 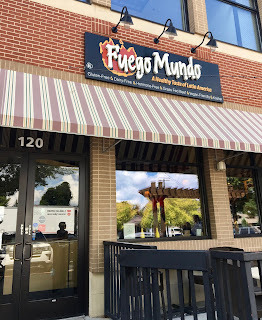 This 100% gluten-free food truck introduced me to the magic of tamales, and is a staple of any trip back to Orlando now that I live in Washington DC. 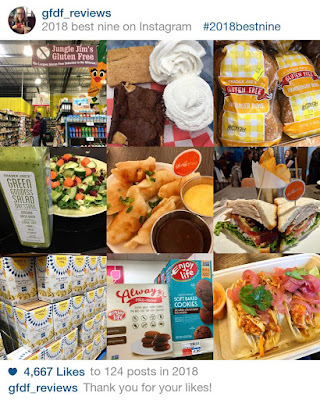 Since my last visit, they have announced an expansion to not only one, but two brick and mortar locations: a grab-and-go shop in Altamonte Springs and a soon-to-open location in Orlando's Hourglass District. 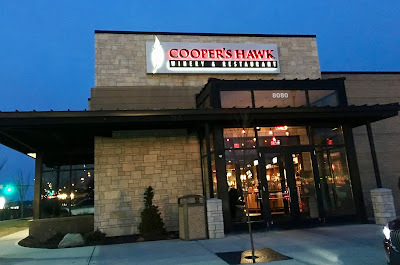 With the former now open, I requested that it was my family's first stop after picking me up from the airport. While I enter most reviews questioning what my experience might be like, I entered this experience with the opposite problem- I wondered if my expectations were too high. 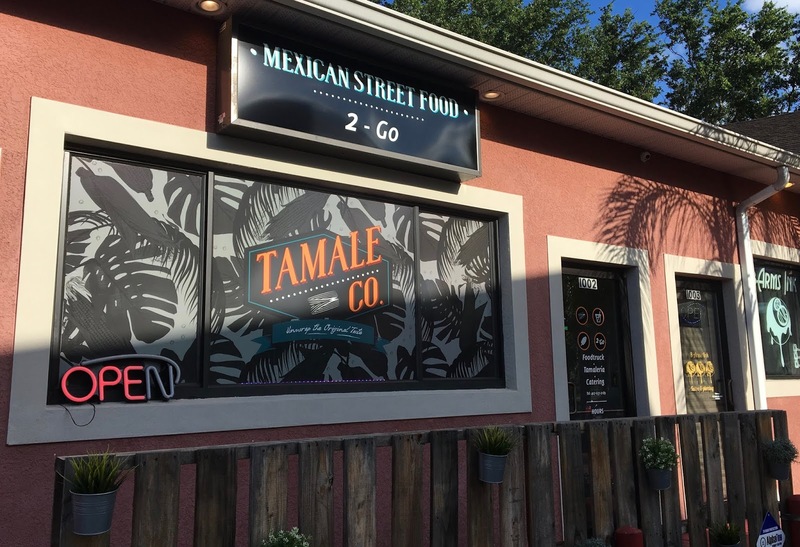 Could Tamale Co. 2-Go live up to my sky-high expectations? 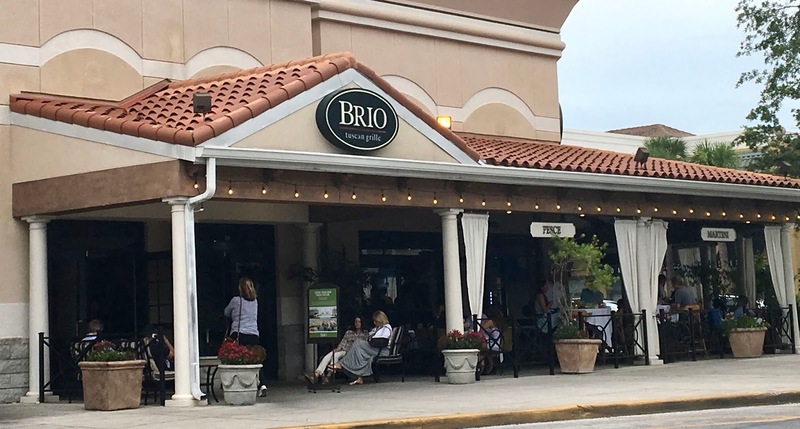 Flying back to Orlando briefly for my sister's graduation, I was looking forward to celebrating after the ceremony at Brio Tuscan Grill. Although I have reviewed many gluten-free friendly Italian restaurants in my years as a food blogger, I have not yet had a chance to dine at this chain. In taking a preliminary glance of Brio's gluten-free menu, I was excited to see several entree options (including gluten-free pasta). As much as I enjoy making pasta at home, I also enjoy the simple luxury of ordering at a restaurant, so I was eager to see how Brio's ranked. The second I booked my weekend trip to New York City, I immediately began craving Inday. 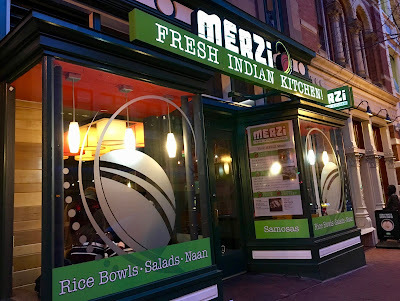 The 100% gluten-free Indian restaurant impressed me on previous visits, and was a reliable place to grab healthy, real food (check out my review). I was all set on going back to Inday's Nomad location for another visit when I saw on Instagram they had recently opened up a pop up at Urbanspace 570 Lex, a vibrant food hall near the Midtown East neighborhood. Promising gluten-free roti and a lineup of fun and flavorful eats, I knew I had to check them out. As a fan of food halls, Indian food, and Inday, my experience was almost custom-designed to make me happy. 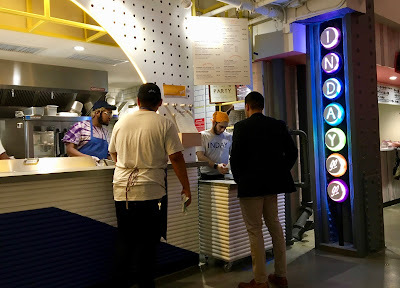 Without giving too much away, I can totally confirm Inday Go Go not only delivered but proved to be one of the best dining experiences I have had in awhile. Since graduating college last December, I have moved into a new apartment, started a new job, and adjusted to a new pace in my life. The greatest thing about my post-grad life? I finally have a kitchen I can call my own, and time to play around in the kitchen with new recipes. Good-bye forever dorm kitchen!! 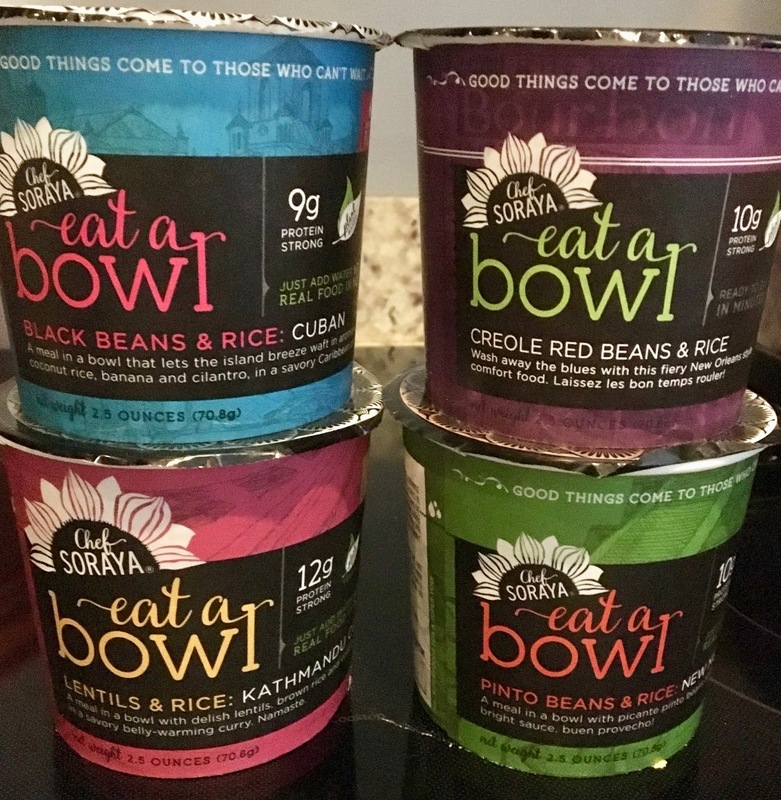 As much as I have enjoyed cooking up curries, soups, and other meals, it is taxing to try to keep up the creativity and clean up the mess involved with preparing several meals a day- especially during the work week. 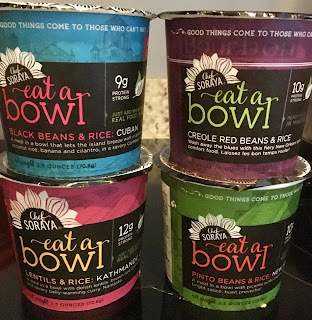 That's why when I spotted the Chef Soraya Eat-a-Bowl quick-cook soups at Fairfield, Ohio's Jungle Jim's International Market, I knew I wanted to see if they could deliver on their promise: healthy, delicious food that cooks in mere minutes. 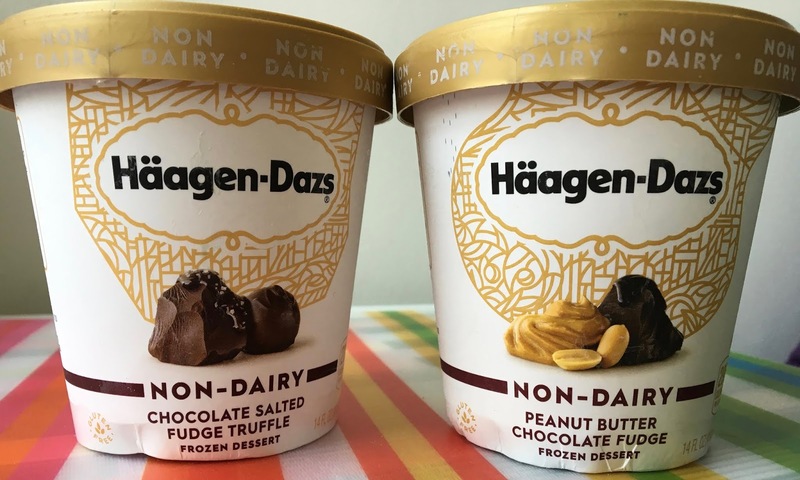 While the convenience factor certainly caught my eye, it was the real ingredients and tantalizing flavors that convinced me to give this new-to-me brand a try. If there's one thing the world needs, it's more dedicated gluten-free bakeries. These magical cafes are places where sweet and savory treats are in abundance and fear can be left at the doorstep. 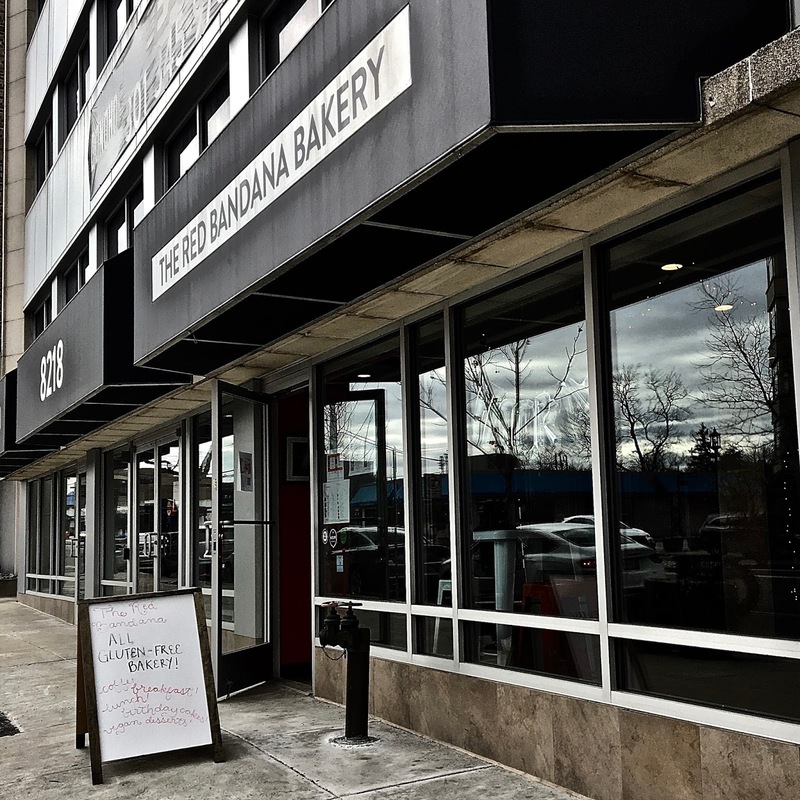 The latest gluten-free bakery to pop up in the DC region is The Red Bandana Bakery in Bethesda, MD. While not a newcomer by any means (they have been a Bethesda farmer's market staple for years), their brick and mortar location is a newcomer to the city's bustling Wisconsin Ave corridor. Although The Red Bandana Bakery opened in November of last year, my college graduation, moving, and starting a new job in D.C. have consumed all of my spare time recently. This past weekend however, I made sure to carve out time to stop by and see what they were all about. I have previously tried and enjoyed their treats at the 2016 D.C. Gluten-Free Education Day and Expo, and was eager to get the full experience of this bakery-cafe in its full glory. Subs. Hoagies. Heros. Submarine sandwich. 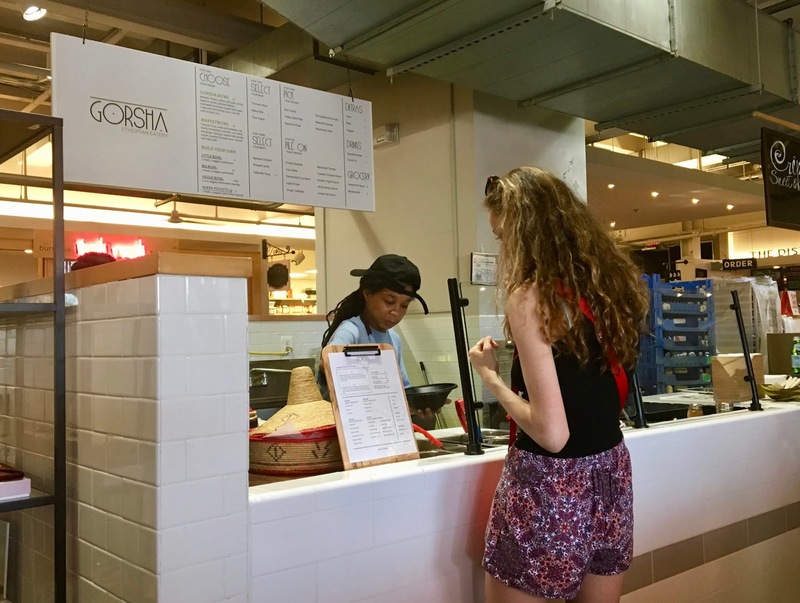 Whatever you call them, they're really hard to find gluten-free options at sub shops, much less find one that knows how to prepare them safely (shared knives and counters are a cross contamination danger zone!). 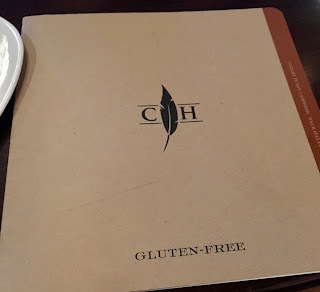 In my six years of going gluten-free, I have never found a place where I could walk in and order a sub and reclaim the normal experience I so enjoyed in my pre-gluten-free days. Of course I have made subs at home on a few occasions, but I have longed for this every time I pass by a sub shop or the deli counter at my local grocery store. That's why I was floored when Jersey Mike's Subs, a nationwide chain, announced that they were going gluten-free. I met the news with skepticism, after all, I can point to plenty of examples of chains rolling out gluten-free options that are dangerously cross-contaminated or are considered "gluten-light" for those who follow the diet due to preference rather than medical necessity. 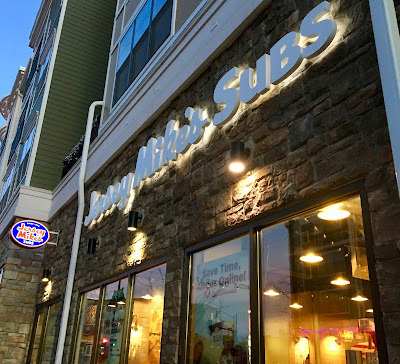 Could Jersey Mike's boldly go where no sub chain had gone before? Even more, could they pull off the taste and texture of these iconic sandwiches minus gluten?